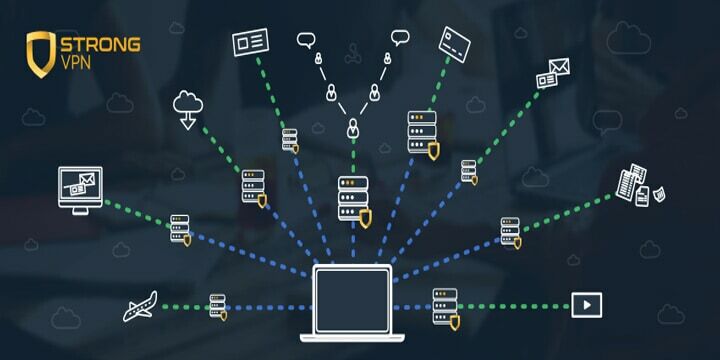 StrongVPN is one of the most popular VPN services in the United States, this is understandable because this is where to company is located. It does have a considerable following and appears to continue to grow, the question though is, is this down to what the company offers, or is it that the company brand precedes them? This question among others is one we are seeking to answer. Continue reading for an unbiased StrongVPN review. The company does have 650+ servers in 26 countries over 46 cities. This includes 59,500 shared/ dedicated IP addresses. But this is by no means the largest and makes it just an averaged size global network, but when you take a look at their server location map, they only have 8 locations which cover all of the Asian regions, two of which are in Australia. The majority of VPN server locations are in Europe and the USA. 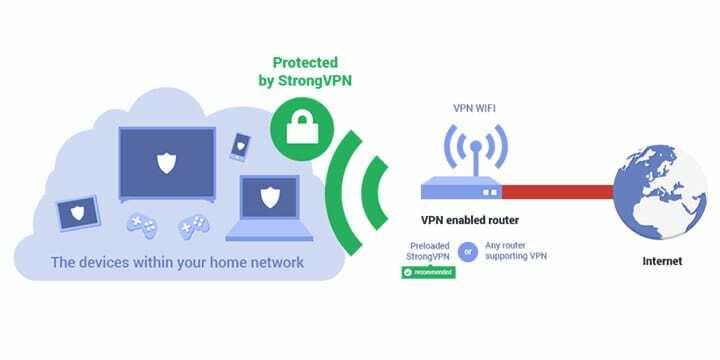 A StrongVPN app is available for devices that range from the usual: Windows, Mac OS, iOS, Android, Amazon FireTV and some compatible routers. Other platforms can include Linux, Kodi, Kindle, Chrome OS. However, these have no client software and do require manual set-up. As this VPN can enable access to Netflix, it can also allow access to other streaming services. This includes BBC iPlayer, Amazon Prime Video, and Hulu. It should be noted, it can’t bypass the subscription side of the streaming service, but it will make you appear to be in the same country. Slow and small network compared to alternatives. StrongVPN has increased the speeds of their servers and their network. Nonetheless, they still remain on the list of cons of using StrongVPN. Their speeds might have increased fourfold, but compared to a lot of services, they are slow on almost all of their servers. One thing to consider is, these speeds are in the most dominant areas where StrongVPN has servers. For a New Zealand VPN whose closest server is Australia (Only 2), it is understandable why speeds are dreadfully slow. Here are a few examples of their speeds from various locations. StrongVPN offers a best location feature which is supposed to be the fastest connection for your location. In use though, this was very far from the case. When opting for the best location, you are basically playing server roulette. You might not actually get connected to a server that gives you the best speed, and it might not be the server which is located the closest to your location. 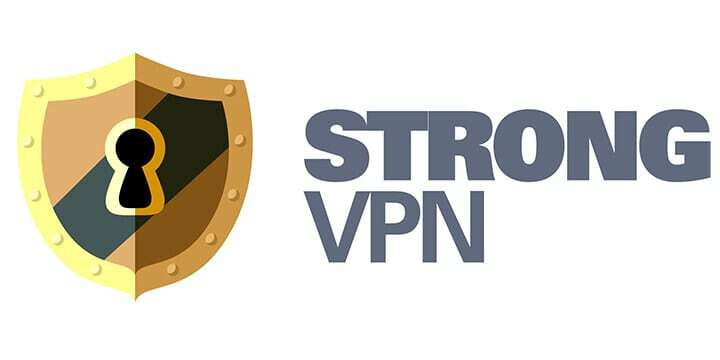 StrongVPN supports all of the major protocols and also includes a kill switch, this can be crucial if you lose your VPN connection, everything you expect from a best VPN. The client will terminate all connections until your VPN is restored. The company is also clear on their zero logging policy. They do collect basic information when signing up, or for connection logs in the case of troubleshooting. 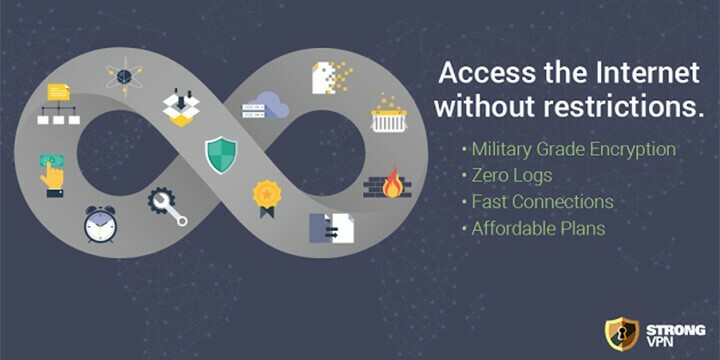 This zero logging can be useful because the company does allow torrenting (P2P file sharing) and StrongVPN Netflix support is catered for at present. Like a few other VPN’s, you might receive the dreaded Netflix error, but contacting the customer service can be enough to find a working US Netflix server. One of the main purposes of a VPN is to protect your data and your identity. This it does by masking your IP address. There are many VPN’s which state they offer leak protection, when in fact they don’t. The protocols used by StrongVPN are the same as used by the CIA, FBI, and NSA. This provides more than enough security to make sure all your data and web browsing habits are hidden from any prying eyes. This includes your ISP provider. StrongVPN passed all the tests when using OpenVPN as you would expect. This is the preferred protocol. However, a couple of leaks were detected when accessing a PPTP server. It should be noted, this isn’t really down to a failure in StrongVPN’s security, it is PPTP is an insecure protocol and is advised not to be used. One of the best features of StrongVPN comes in the form of their customer service. This is one area where they get things right. Via email contact, a response was received within an hour or so, and this turnaround was rather impressive. Unlike a lot of other VPN’s, the company has 24/7 customer support who can be contacted via live chat or email. There is one other feature from this company which can be quite useful, This is StrongDNS, and what this can do is quickly bypass any geo-blocked content restrictions. This can be useful if you have a device that isn’t supported by StrongVPN, but there is one major caveat using this. All it can do is spoof your location. In the way of security, it offers nothing. If you are streaming or taking part in any P2P while using this method, your ISP will be able to track what you are doing. This DNS service is more useful to travelers rather than to be used at home in New Zealand. A good example being anyone who wishes to get past the “Great Firewall of China,” or access content from Europe. From a package that only used to have a 7-day money back guarantee, the company has jumped up to offer a 30-day money back guarantee. This is to fall in line with the market leaders that provide this as standard. 1 month – $10 per month. When you compare the prices, they are in the same region like many others, and in many cases, they are more expensive. Couple this with the limited feature set and the lower than average speeds, then it does work out as an expensive option. Even more so for users in New Zealand. If you decide to sign up for an account, you are emailed with a username and password. These are to be used to the StrongVPN servers. StrongVPN accepts plenty of payment options. This includes all major credit cards such as Visa, MasterCard, American Express, as well as payments via PayPal, Bitcoin, and AliPay. From one area where StrongVPN excels in its customer service, to one where it fails. This is in browser extensions because the company doesn’t have any available. It is either the use of the client software or nothing at all. The company is one of the longest-running VPN providers, you might find this hard to believe when you make a StrongVPN login of the client software. You are presented with an interface which is very outdated when compared to many other VPN services. Even though they have improved all of their VPN apps, they still don’t look as clean and easy to use. For new users, this can quickly appear overwhelming, and if there are any options which you need to change, you need to delve into sub menu’s to find what you are looking for. A good example of this being changing your server to a US based one. One slight concern with security is, the company is based in Lake Tahoe in the USA, this is inside 5-eyes jurisdiction, so it is hard to say how much pressure could be placed on them. StrongVPN has been around for years so they won’t vanish any time soon. However, because they are somewhat behind the times in looks and features, there is one question which would be on most people’s lips that are considering them. The service does have a lot going for it. With their zero logging, and enabling Netflix access along with P2P file sharing (torrenting) it looks good on paper. It is much easier to see what the company doesn’t offer, and then you can see it might not be the best option in New Zealand. Speeds are pretty slow in the most built-up areas, so trying to obtain a decent speed where there are only 2 server locations (Australia), it is pretty much already known, any streaming or torrenting is going to run into a few problems. If it was only security you wanted, then it might be a viable option, but not at the rates they offer. In the end, it is a large brand that has budget VPN service, but, they try to charge premium VPN prices. Are they any good? Yes, but there are far better options for the price and the New Zealand location.